The Fourth Regiment is one of those cocktails that has a murky history, an aspect that is not only intriguing but also let's us try the variations and see which side we fall on. In 1931, the Gentleman's Companion gave a recipe for the Fourth Regiment which calls for orange, Angostura and celery bitters. But there is supposedly an older reference which uses Peychaud's bitters instead of Angostura bitters. While I like the Angostura version, you should try both! Add all ingredients to a mixing glass with ice. Stir well. Strain into a coupe or lowball. Serve up and garnish with lemon peel. The Gentleman's Companion described the drink as a short Manhattan cocktail with celery and orange bitters. This is fairly accurate. 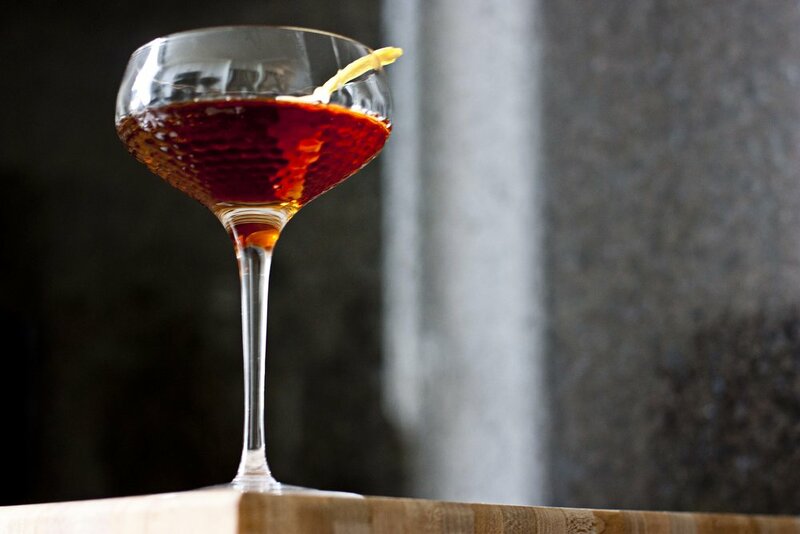 A Manhattan (at least how I would make it!) would have rye, sweet vermouth (I like Carpano Antica) and bitters. Let's see how the Fourth Regiment differs and how it impacts the drink. It has a 1:1 ratio between the rye and the vermouth. That gives the Fourth Regiment a sweeter and rounder taste and the bite of the rye is not as in your face. The Fourth Regiment also adds orange and celery bitters. The orange bitters are a nice addition but nothing to write home about. But the use of celery bitters is unique and makes this drink unique also! I'll be honest...I bought my celery bitters to use only in bloody marys. But like many ingredients in my liquor cabinet, I loved learning how else to use it. The Fourth Regiment is a great reason to dust off those celery bitters! The Fourth Regiment is smooth and sweet but is balanced with a savory kick from the celery bitters. It's that savory vegetal undertone that adds the complexity that makes the Fourth Regiment an amazing drink!